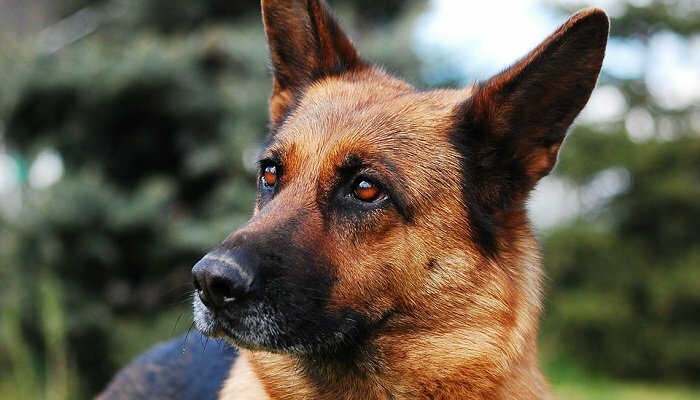 German Shepherds are very commonly found throughout the U.S and the world, and they don’t seem to decrease in popularity the same way many other dog breeds do. They are intelligent, hard-working, loyal to their owners and very versatile, but it is important to care for them properly, for them to reach their full potential. 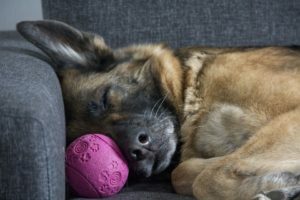 Knowing what to feed a GSD comes with experience and research, and this article might give you a better idea of what to take into consideration before you fill up that dog bowl. The large and impressive looking German Shepherd – also known as GSD – originates from Germany, as indicated by its name, and it is a herding breed which dates back to somewhere around 1899. This makes the GSD a somewhat new dog breed, and they were originally bred for herding sheep. They are strong, intelligent, loyal and highly trainable, and it is the kind of dog that won’t back away from a challenge. The working mentality shows in its ability to learn and comprehend, and it makes a wonderful family dog thanks to the devotion shown to both young and adult family members. Just like every dog breed, German Shepherds need to be fed a quality diet. It is a breed that is known to be used within the police force, in the military, for search and rescue missions and disability assistance; which speaks for its versatility and reliability when working in the field, but also of its need for good dog food. 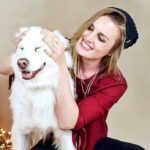 It currently holds the place of one of the most popular dog breeds in the United States, as well as in the United Kingdom, and you find the German Shepherd represented in countries all over the world. Back in the days, there wasn’t as much knowledge as there is now, and especially not regarding dog food and the different options available. Not only are there hundreds of dog food brands on the market, but there are also different types of food that go way beyond just the choices of canned or dry. Do you, for example, know the difference between freeze-dried food, dry food, raw food, and wet food? Those are some of the available options for German Shepherds and other dogs, and if you are not yet familiar with them – here is your chance. + Dry food. Perhaps one of the most common food forms for dogs all over the world –dry food; also known as kibble. Dry dog food is easy to store, it lasts for a long time without needing to be refrigerated and it leaves a minimal mess as the dog eats. Some prefer this for German Shepherds since due to commodity, but also because kibble is known to help keep the teeth clean and plaque free. + Wet food. Wet dog food is mostly always purchased in cans or pouches and needs to be stored in the fridge once opened for maximal durability. Picky eaters are often fed wet food since it has a meaty consistency which tends to be difficult to resist. Wet food can also be used as kibble topping or be mixed in with other dog food varieties, as it can be somewhat pricy to feed on its own, especially if trying to feed a hungry German Shepherd dog. + Freeze dried food. This is a dog food variety that has been freeze-dried for prolonged freshness, and it is a method that helps the food keep most of its nutrients also after processing. It takes up minimal space and is mixed in with water at the time of use to regain its fresh and meaty scent, smell and consistency. It is something close to a compromise between raw food, kibble, and wet food, and it is a nutritious and healthy option for dogs all sizes, including German Shepherds. + Raw food. Out of all the dog food options for German Shepherds – this is the most time consuming (possibly), but also one of the best when fed right. Raw dog food is made with fresh ingredients and can either be made at home or bought ready from a distributor and stored in the fridge. If you choose to make your own raw food, it is crucial to do proper research to make sure that the finished portions have enough nutrients for your German Shepherd to thrive, and it takes commitment and time to cook for your dog. If you rather buy raw food from a pet store or a distributor, you will need plenty of space in your fridge to store the portions, and it will need to be heated up before every meal. Raw dog food, when properly prepared, is very nutritious, but it does require additional work. Regardless of whether you prefer wet, dry, freeze-dried or raw food, it is incredibly important to look to quality when feeding your German Shepherd. German Shepherds are large and energetic dogs, and they need certain nutrients for their bodies to function properly, as well as their brains. Just like a fancy car couldn’t run on water, a German Shepherd dog can’t fully function on low-quality dog food. All dogs should be fed high-quality dog food, but it becomes even more important for dog breeds that are used for different types of work, as reduced physical or mental abilities could have negative consequences also for the person handling the dog. 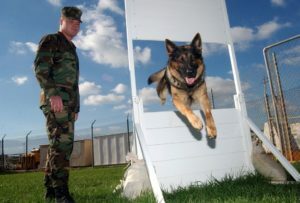 A German Shepherd used as a police dog, a drug-sniffing dog, a service dog or any other high-importance task always needs to be on top of his or her game, and only a high-quality dog food can see to that. Would humans eating only McDonald’s burgers every day, for breakfast, lunch, and dinner, feel and perform as great as a human eating a varied and nutritious diet? The answer is no (and if you have doubts, watch the 2004 documentary Supersize me), and the same goes for dogs. Good dog food is found when you know what you are looking for; because just like with most things – knowledge is power. Just looking at the German Shepherd should give you a hint of what they need; as they are large dogs with plenty of energy. If they get lots of exercise (as they should), a German Shepherd needs a well-balanced diet with protein, carbs, fiber and more, and the first thing you want to do is to turn your dog food container (bag, can etc. etc.) over to see what the food contains. When looking through the listed ingredients, you want to see at least two quality meat ingredients listed first. The ingredients are listed in order, with the most relevant item listed at the very top, so a meat ingredient listed among the first items means that the dog food is likely to have a satisfying meat content. Fresh chicken, duck, turkey, beef, lamb, and rabbit are all commonly found protein sources, depending on the flavor variety, and should appear high up on the list of contents. Be aware that fresh meat will often contain over 80% water, something that can make it place higher up than it technically should since ingredients are listed by weight. For this reason, it is great if a meat product is followed (or proceeded) by meat meal, as meat meal contains all the nutrients of fresh meat, but without the water, making the protein content about 300% higher in some products. Look for fresh meat, meat meal, and preferably a combination of both. A sure sign of low-quality dog food is animal by-products. It may sound nice, since hey, meat comes from animals, and German Shepherds need meat in their food, right? Yes, and no. German Shepherds do need meat, but animal by-products are not considered a quality protein source since it is an unnamed meat product which often comes from slaughterhouse left-overs deemed unfit for human consumption. It could be anything from chicken beaks to bone fragments, and while usually not harmful – there are no guarantees for it containing enough protein to satisfy the needs of a large dog. The next thing to consider is how much food your German Shepherd should eat, and this depends on the product you choose to feed, and on your dog’s weight and activity level. Most dog food products will have instructions on the back for how much to feed; meaning all you need to do is to weigh your dog, get a measuring cup and stick to whatever it says on the bag, box or can. Not every dog is the same, however, so if you notice your dog gaining weight – it is time to lessen the amount, and if your dog is on the skinny side – more food is recommended. Any drastic weight changes, where you have not changed the amount of food or exercise, should be checked by a veterinarian to make sure there is no underlying health problem. German Shepherds do have some known hereditary health issues, so always keep an open dialogue with a trusted veterinarian. It is not just the food that matters when feeding a German Shepherd, as funny as it may sound, but it is also relevant how much exercise your favorite fur pup is getting. The German Shepherd is an active breed that is not ideal for a person or family who is not willing to properly activate their dog, as an under-stimulated dog can develop destructive behaviors and even show signs of aggression caused by boredom. A GSD that is not getting enough exercise will also be prone to weight gain, which in turn can have devastating effects for their bones and joints, as excess weight adds extra stress and pressure to those of, especially large dogs. The best thing you can do for your German Shepherd is to find a good balance between quality dog food, feeding the right amount and offering enough exercise, as it will enable your best fur friend to live a long and healthy life by your side! If you liked this article, please rate below.